Niantic founder John Hanke hosted a panel at San Diego Comic-Con 2016 named ‘Re-Imagining Reality: Bringing Games into the Real World with Ingress and Pokémon GO,’ in which he explored ways that the games industry has looked to extend games beyond the TV screen. 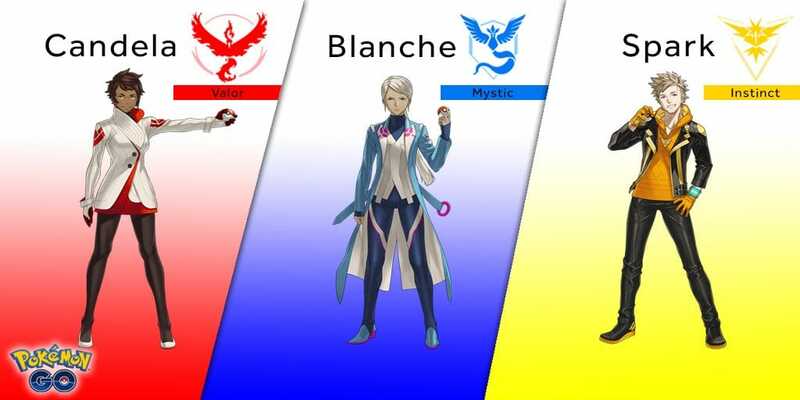 That touched on Niantic’s two creations, and, with Pokémon GO now being such a hot topic, Hanke took the time to reveal the team leaders as Candela (Valor), Blanche (Mystic) and Spark (Instinct), as well as their respective character designs. The app continues to dominate the news, although SurveyMonkey Intelligent data has shown that the app’s daily usage has peaked early on in the United States. One player has already caught all available Pokémon, while TrendForce suggests that the app’s success will help the AR market reach $30 billion by 2020. Pokémon GO most recently released in France, Canada and Japan, and is available in more than 40 countries worldwide.